Audi Sport Team Phoenix driver Martin Tomczyk took his second consecutive win at the Lausitzring in this weekend’s DTM round, and snatched the championship lead from Mercedes driver Bruno Spengler while he was at it. 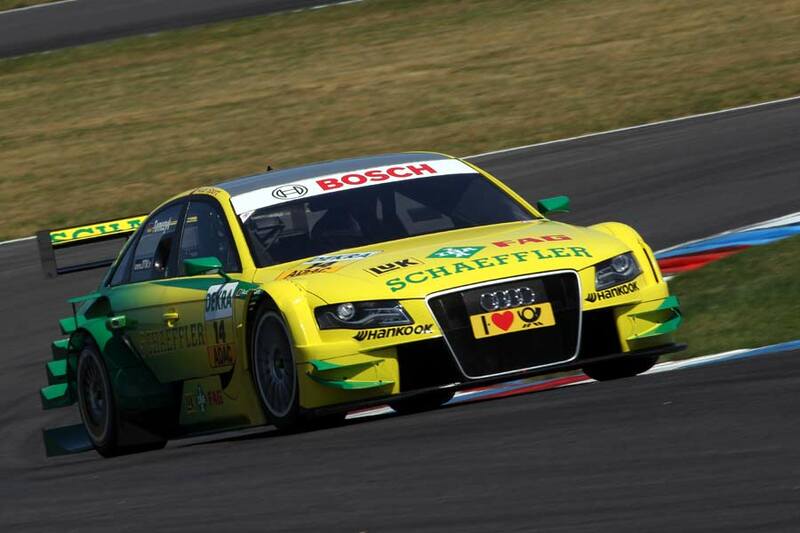 Fellow Audi driver Timo Scheider finished second, while Spengler took the third step of the podium. Tomczyk had been in third during the early stages, but outbraked the Mercedes of Jamie Green to grab second place on lap three. Running two laps further than Spengler on his opening stint and a speedier maiden stop helped Tomczyk to secure Audi’s first win at Lausitz since 2005.